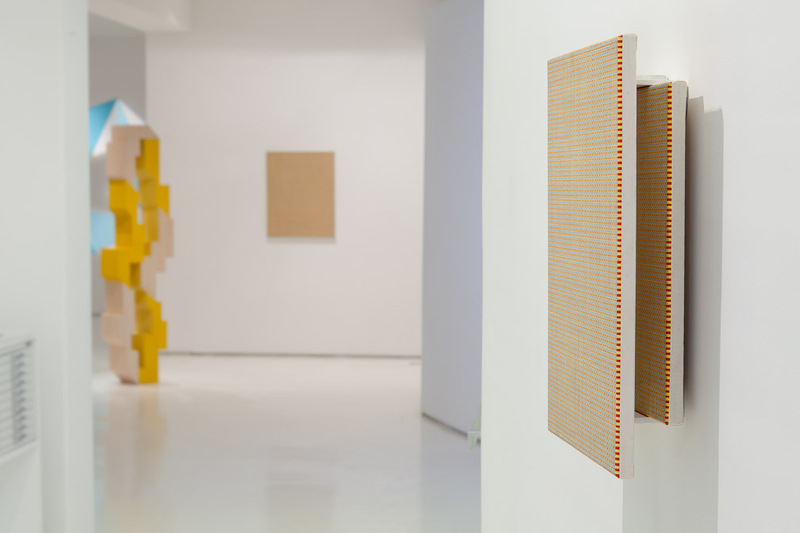 Rachel Beach’s painted wood and aluminum sculptures combine elements of Minimalism with more diverse archeological and architectural influences. Her sculptures demonstrate a strong push and pull between positive and negative space, where the wooden structures and painted surfaces alternately join and disassociate, thus playing with spatial perception. Peter Demos’ monochrome paintings address themes of opticality, repetition, and surface. 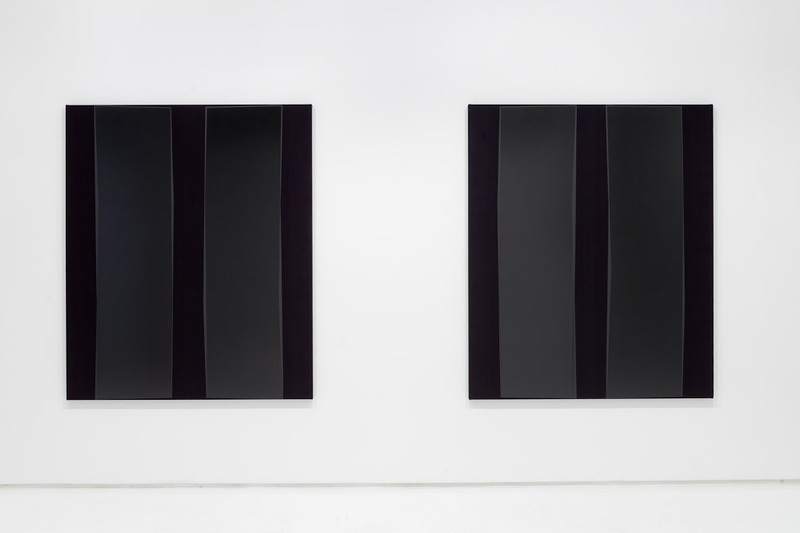 Consisting of dyed canvas with both matte and gloss areas, the monochromes utilize different surface qualities to define a blackness that is at once a flat expanse and simultaneously three dimensional space. 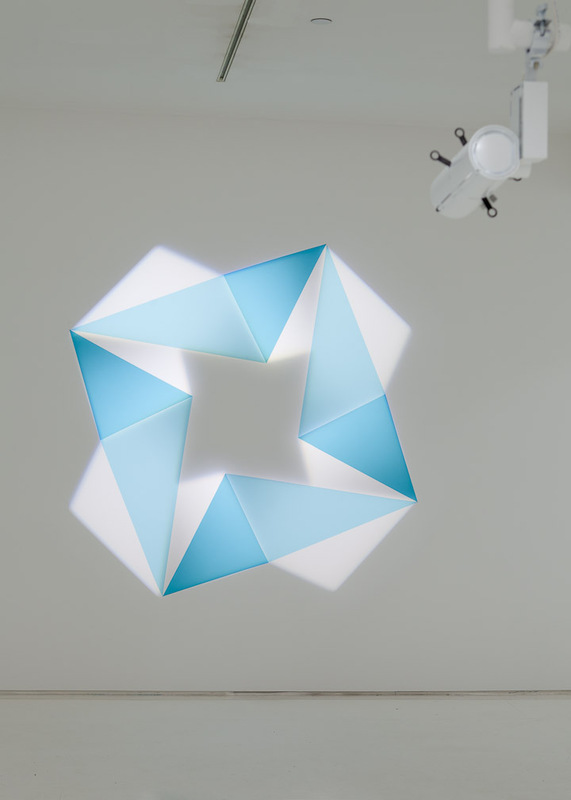 Geometric shapes appear to teeter as light hits the painting’s surface. 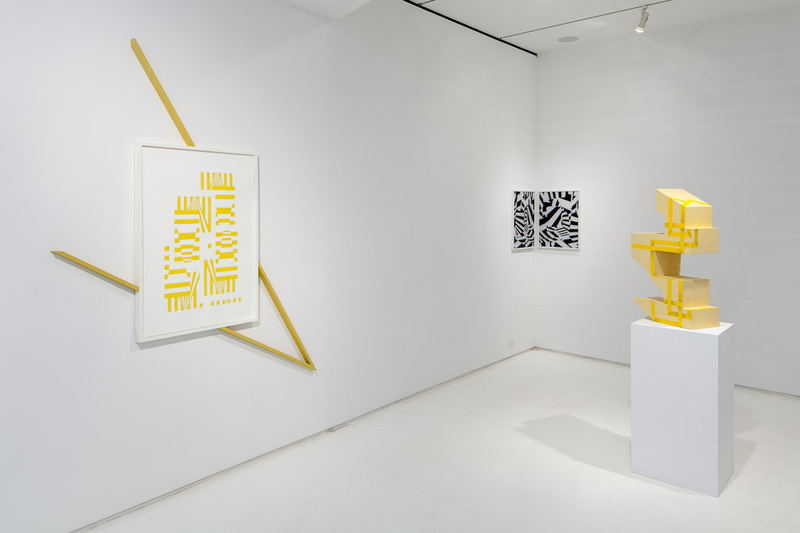 Andrew Falkowski’s geometric abstractions reference early Naval attempts at camouflage painted on ships during World War I. These complex patterns attempted to confound and re-orientate surveillance, disrupting assumptions of scale, direction, and intent. The clashing patterns and shapes in different scale and perspective are used in Falkowski’s paintings to similarly disrupt viewer assumptions. 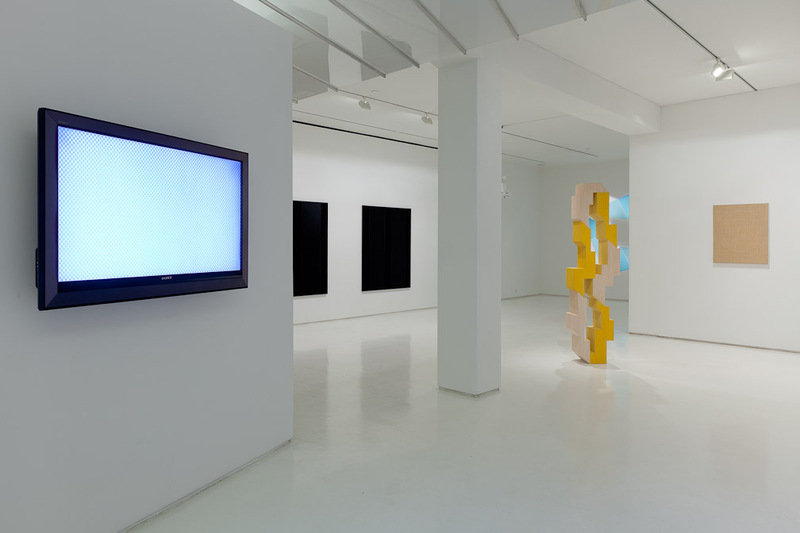 emilio.jp uses the computer to create imaginary spaces and sculptures, most often exported and published online as gifs. His piece Invisible “O”bject is a sea of gray checkerboard rotating outward, like an illusive spinning hoop. 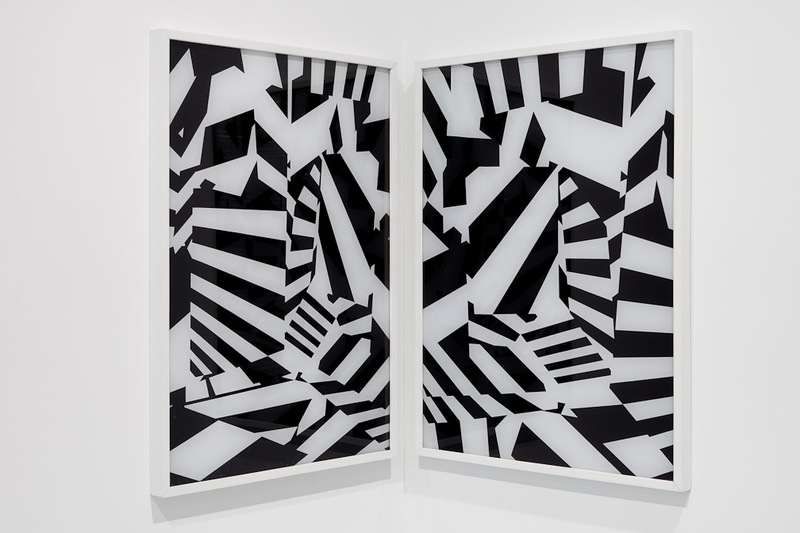 Shifting pixel placement, and an investigation of glitches and errors, creates movement within the picture plane, thus using new media to reference Op Art influences. Jay Shinn creates kaleidoscopic wall works. 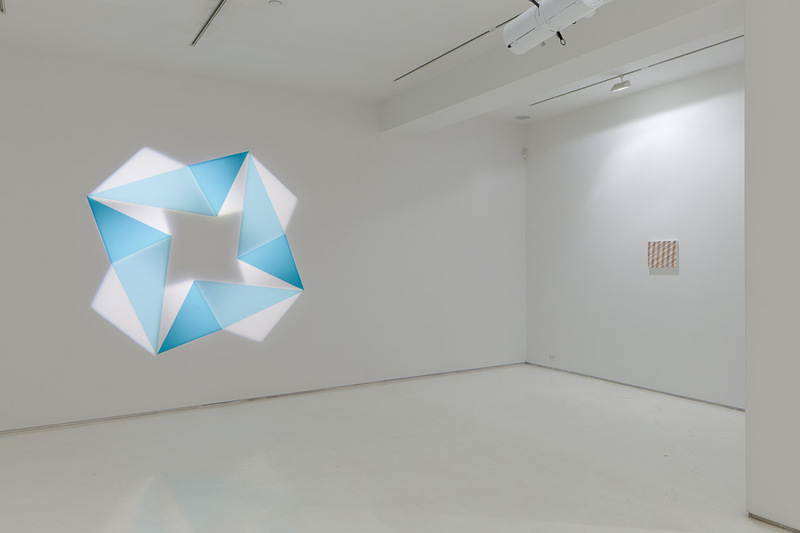 Using only paint and projected light, shapes and color hover on the wall, defying categorization. 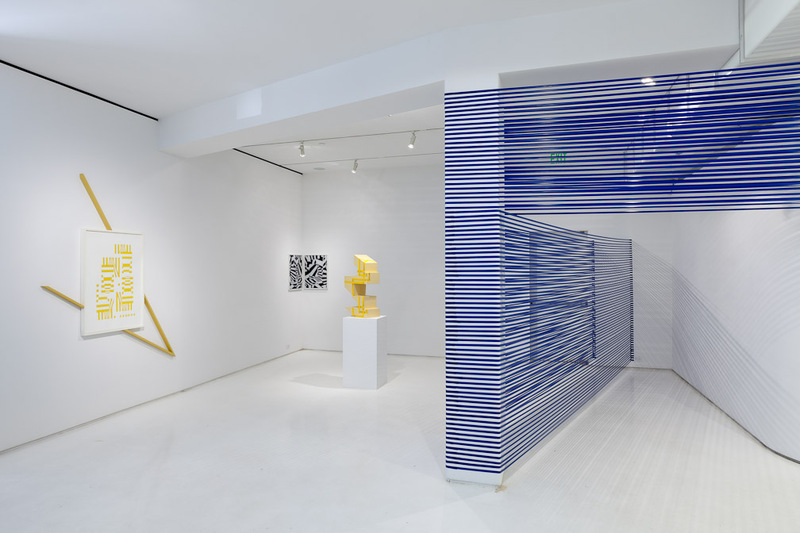 They are at once site-specific paintings, sculptures, and newly formed architecture. Volume and depth are created through Shinn’s extreme precision and careful manipulation of positive and negative space. 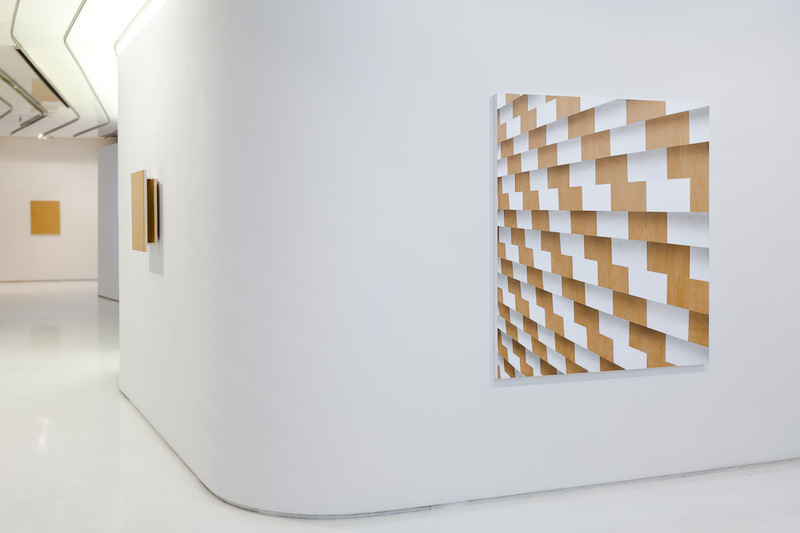 Suzanne Song’s paintings are concerned with spatial construction and visual perception. Through geometric forms, she presents visual states in which the boundaries between image and reality blur, achieving the illusion of dimension on a flat canvas. Aspects of uncertainty, ambiguity, and impossibility contribute to the arresting nature of her work. Rebecca Ward’s site-specific works are playful, thoughtfully planned geometric installations commenting on the site’s architecture. 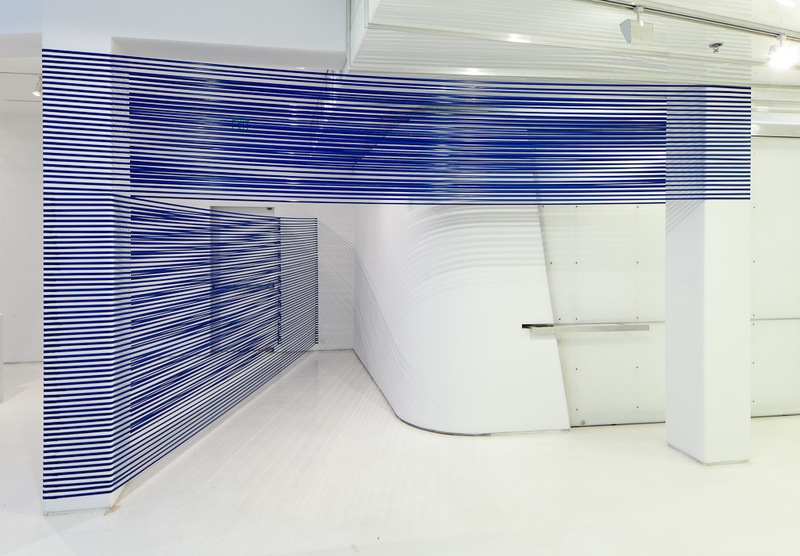 Using banal materials such as tape, Ward embraces all aspects of the space, bringing attention to unnoticed areas. Within this multidimensional canvas, she utilizes the expanses between columns and allows lines to navigate the space without the limitation of a wall’s edge. Ken Weathersby uses colored patterns to render optically stimulating surfaces. Then, through physical interventions, he removes and replaces areas of painted canvas with surgical precision. While the tight acrylic and graphite patterns generate a sense of retinal movement, the interventions call attention to the physicality within, and extending beyond, the illusory picture plane.